How do ballet levels work? I'm currently in 3rd level ballet in America. What are the requirements to join a company, or go to college for a dance BA? Take a look at thePersonal Development Plan, which give the different stages to join a company and become a professional dancer. The requirements to join a ballet company can depend on many factors such as height, proportions, performance experience. To join ballet companies, you have to send off your CV and/ or take a ballet audition to be selected by the director. I expect to go to college for a dance BA will also look for certain entry requirements, such as previous study of dance of a specific standard. My ballet auditions page will give you further information on what to expect when auditioning for companies. Join in and write your own page! It's easy to do. How? Simply click here to return to Ballet Companies. Hi, I was wondering if you knew of any good companies in ohio. I would like to audition when I get old enough. ( I'm 12 right now, and starting pointe this summer) Do you know of any? Thank you for your query, it's great to hear from you! Canton Ballet is a leading training ground situated in Northeastern Ohio. Canton Ballet's performing Company is known across the United States and in Europe. They have an official website, www.cantonballet.com , which you may find helpful to learn more about the organization. Ballet Theatre of Ohio is currently the largest classical ballet company situated in Northeast Ohio. The company attracts the largest ballet audience in Northeast Ohio and performs traditional ballets such as The Nutcracker, Coppelia and Sleeping Beauty. You can visit their official website, www.ballettheatreohio.org, where you can discover more about the company. It is great you are starting to think ahead about ballet companies. When you have a clear focus and ambition, it will help keep you motivated and strive to succeed! Keep the good work up! How much are ballet dancers usually paid? and also, do you know of any good companies in California? even minor companies! Thank you, it is great to hear from you! It is hard to give an accurate answer to how much ballet dancers are paid, but there are many discussions online to follow up. It is very much reliant on the dancer and the company. 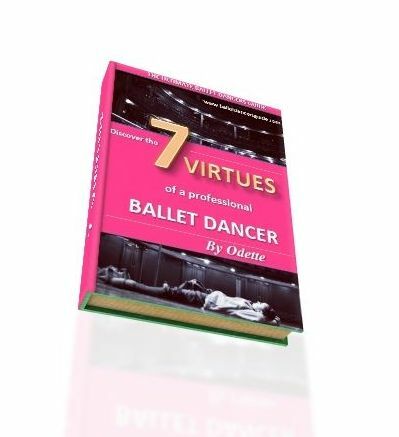 A ballet dancers salary varies with different ballet companies, and it very much depends on your rank in the company. It is an interesting topic which would be worth discussing further, so if any other visitors have more to say on this subject, then feel free to comment! ... an open discussion! There are some quality ballet companies in California, such as San Francisco Ballet and San Jose Ballet. I have written more detailed information on these two companies (follow the link!). Other ballet companies are California Ballet, Northern California Ballet, The Sacramento Ballet.